Cheap dental implant? What are the costs? In this article we will try to explain what define the price of an dental implant and what « cheap dental implant » really means. The manufacture of an implant is a very sensitive task. The dental implant is in most cases made of titanium, although there are other types, including the ceramic implant that is the most popular. Titanium is one of the most bio-compatible materials which means that it is compatible with the living tissue and it is not harmful or toxic. Moreover the titanium has a high strength and a low elastic modulus, which makes it compatible with the bony structures, and gives it a strong power of osseointegration. This is very important because it reduces the possibility that the placed implant will be rejected. The implant manufacturers must then carefully work on the shape of the implant. There are several types of implants that all have different dimensions and each implant has its own set of tools by means of which it will be screwed into the bone. Finally the implant must be tested in various patients for a period of at least 10 years. Only after all this, someone can ensure sustainability, security and persistence of the implant. Besides, the implant placement is a surgical procedure and as such should be done by a surgeon. Today dentists attend and finish courses and they present themselves as implantologists. However, it is important not to overlook the difference between surgeons who have had a long and demanding education and implantologists who hold a two-days-course certificate. All that define the price of implant placement. You can opt for an implant that is not approved and for some implantologist and pay less. But as a proverb says : « I am not rich enough to buy cheap. » If the implant paid less is rejected and must be replaced or if it is placed in such a way that it cannot be used as the basis for a false tooth, you will then pay twice more at the end. Our advice is : do not save money on some things unless you really need to, especially when it comes to health. 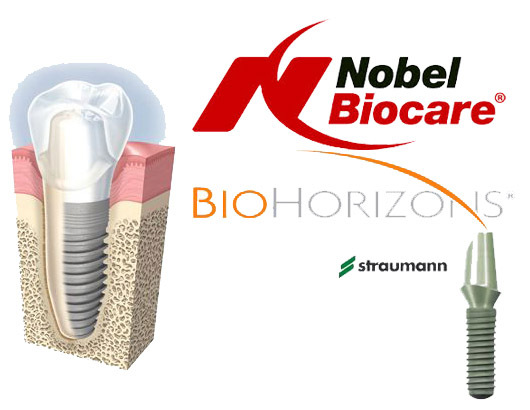 However you can look for experienced surgeons who work with approved implant brands such as Straumann, Nobel Biocare, etc … with margins that are not very high. Dentists in Serbia, for example, have the lowest margins in Europe and hence the price difference between Serbia and Great Britain for example is big. But even in countries where dental care is cheaper the implant placement is not given. Compared to other interventions implant placement is among the most expensive for reasons mentioned above and because it is a lifetime investment after all.